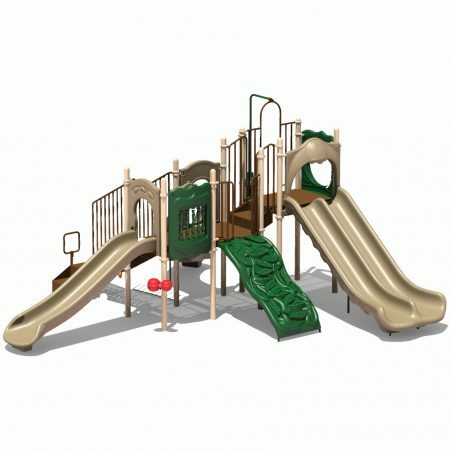 Provide children with a fun place to run, exercise, and play with the Bellingham playground structure. 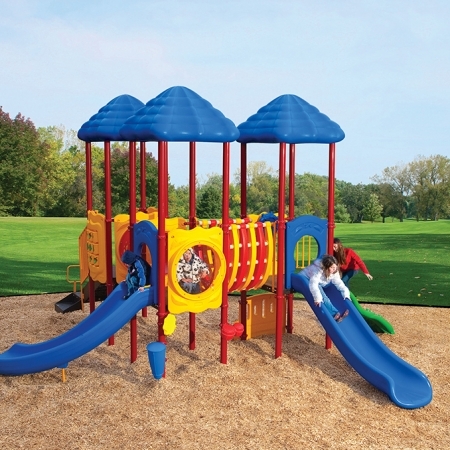 This play system features a slim design so it can fit in well at any playground space. 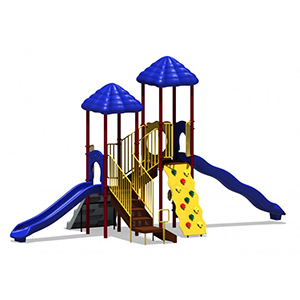 A double wave slide helps make this structure stand out. 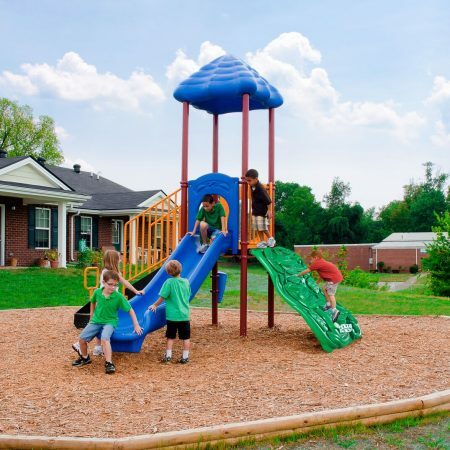 Provide children with a fun place to run, exercise, and play with the Bellingham playground structure. 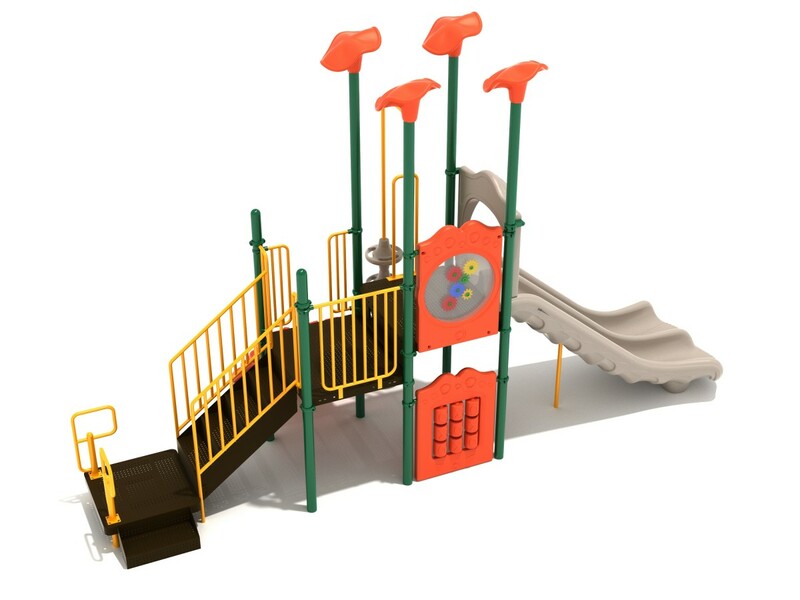 This play system features a slim design so it can fit in well at any playground space. A double wave slide helps make this structure stand out. 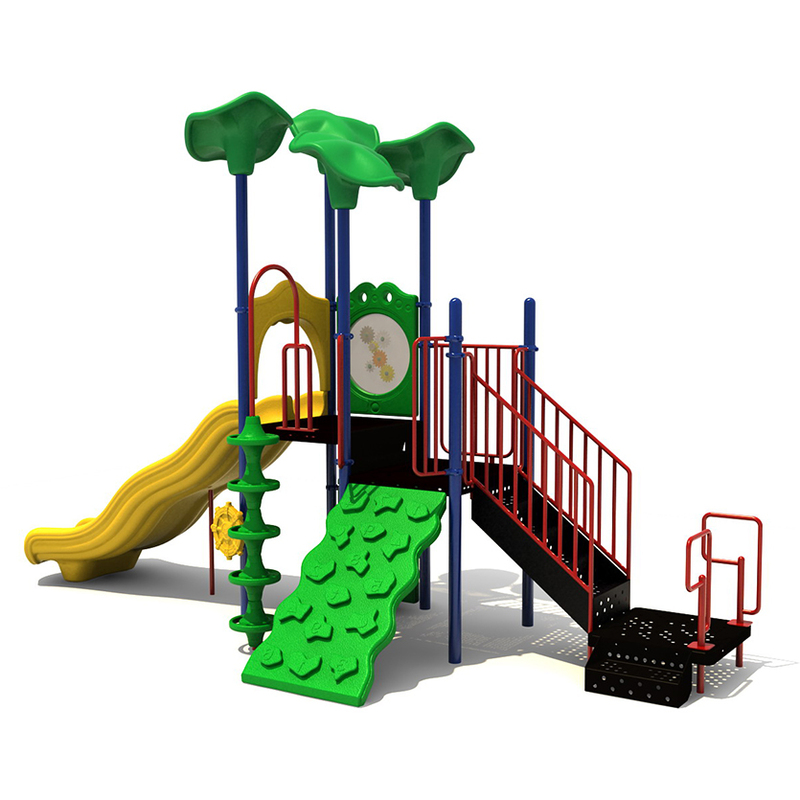 Children can enjoy the challenges of climbing up the structure on the number climber or the pod climber. A transfer station with stairs is also available. 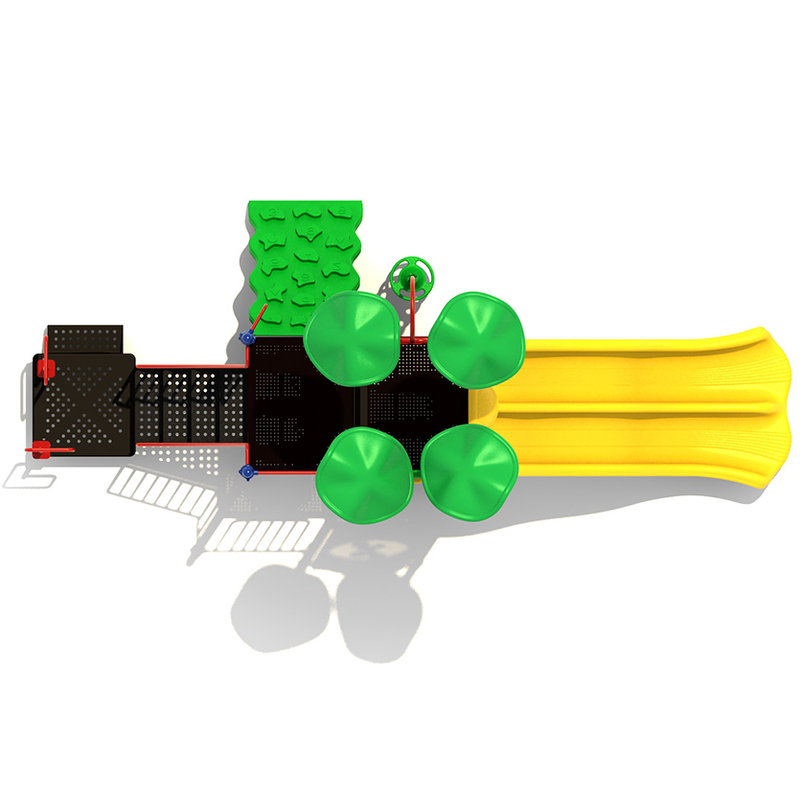 A tic tac toe panel and a gear panel are included to jump start minds during play, working on cognitive development. 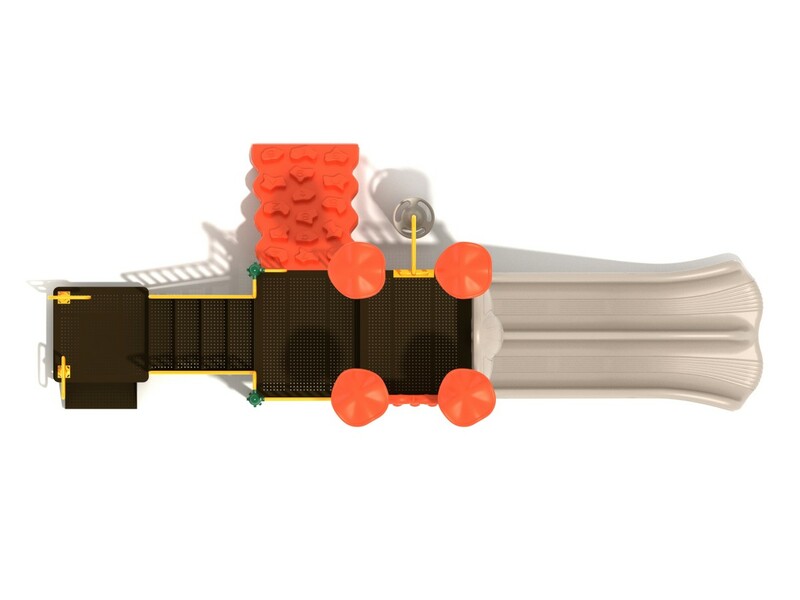 A ship’s wheel can be found post-mounted on the ground level. Four lotus toppers not only add a fun look to the structure, but they serve to provide bits of shade during play on sunny days. 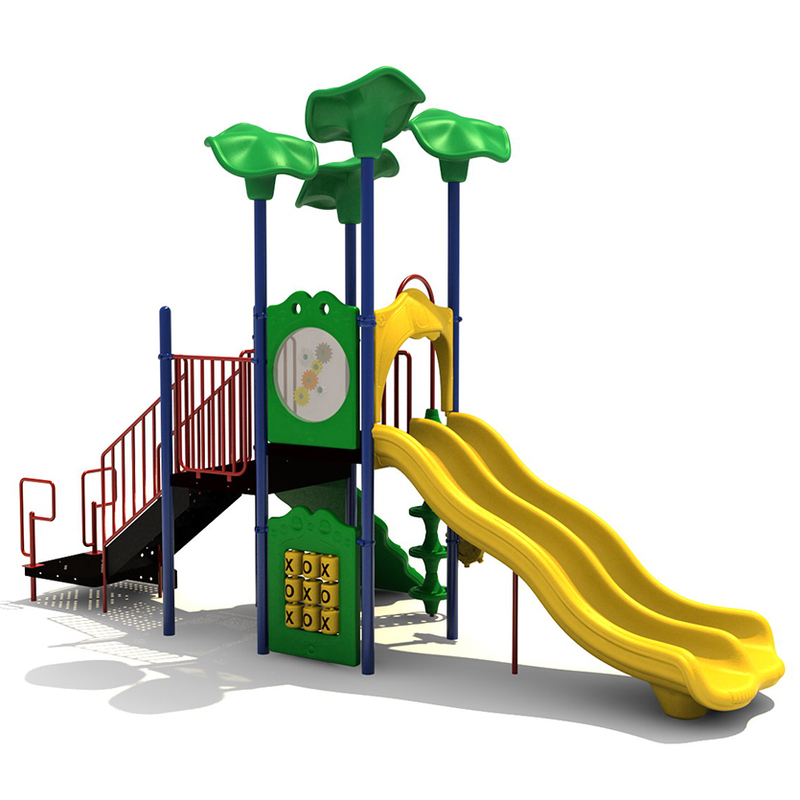 The Bellingham play system is an ADA compliant unit and is intended for use by the 2 to 12 year age range. 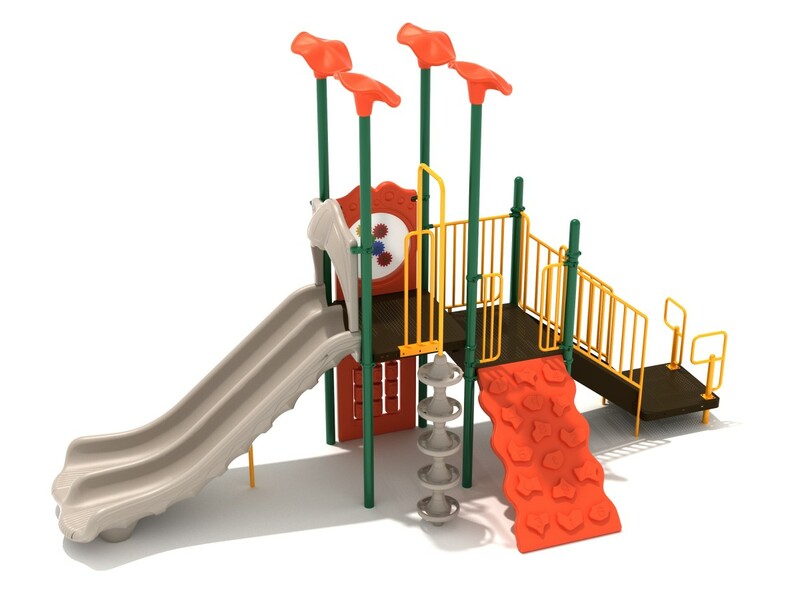 Be sure to install this unit with the proper safety surfacing to help prevent injury.